Ovolr! / Debackle, 9780998697765, 76pp. 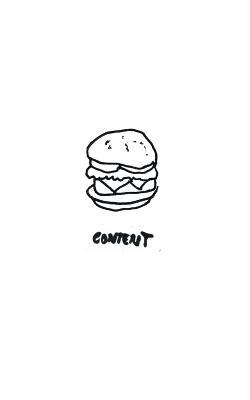 Content is an illustrated book about, well, Content. The book, illustrated and written by Gary Llama, explores the contextual nature of modern day content, an the contextual information it is assigned as it spreads through mediated channels. Llama's book serves as a 21st century continuation of the conversations started by by McLuhan and Postman before the advent of a developed world wide web, and social media in particular.